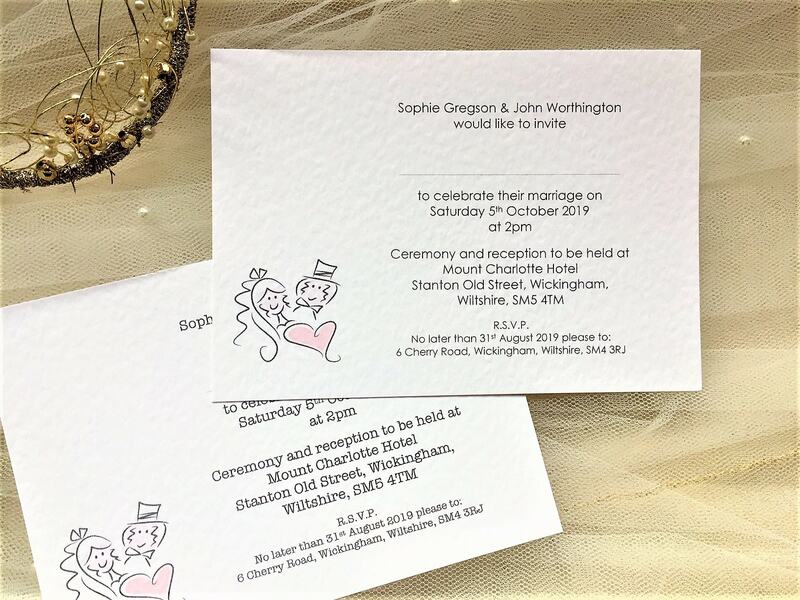 Bride and Groom Postcard Wedding Invitations. 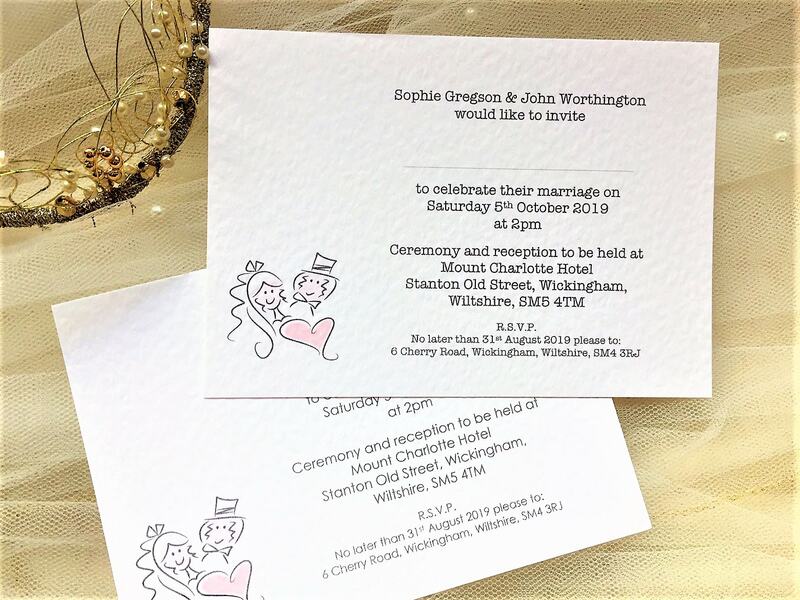 An elegant postcard-style personalised wedding invitation supplied on a thick heavy weight (270 gsm) hammered card and are available in either white or ivory. 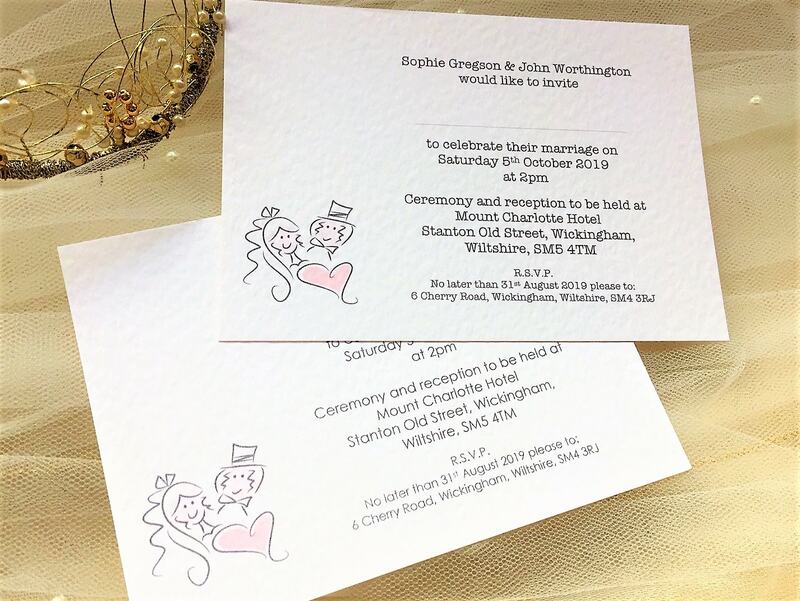 This is the most affordable wedding invitation style in our Bride and Groom Wedding Stationery Range. 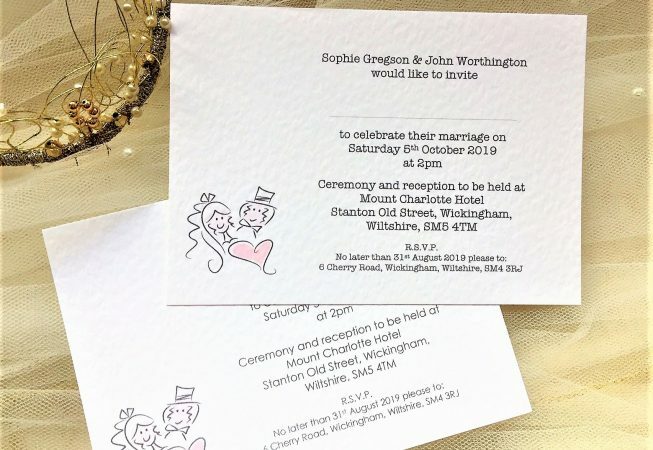 There is a good selection of font styles to choose from and we can print your wedding invitation text in any colour to match a colour scheme. 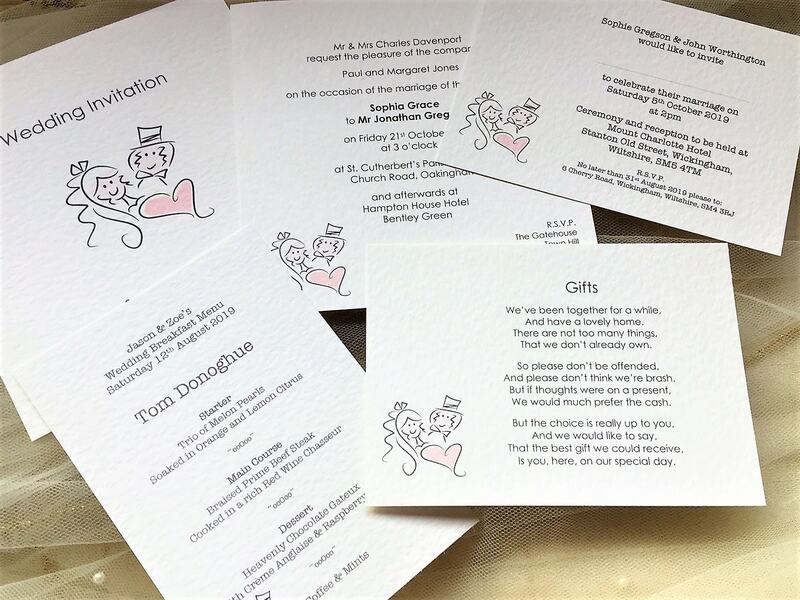 Choose your card colour and font choice/colour.